CPSC is warning parents and caregivers that these baby recliners contain defects in the design, warnings and instructions, which pose a substantial risk of injury and death to infants. Four major national retailers--Amazon.com, Buy Buy Baby, Diapers.com, and Toys R Us/Babies R Us--have agreed to recall the Nap Nanny Generations One and Two, and the Chill™ model infant recliners.\\\\n\\\\nIn July 2010, CPSC and Baby Matters, LLC issued a joint recall news release that offered a discount coupon to Generation One owners toward the purchase of a newer model Nap Nanny. At the time, they offered improved instructions and warnings to consumers who owned the Generation Two model of Nap Nanny recliners.\\\\n\\\\nAt the time of the 2010 recall, CPSC was aware of one death that had occurred in a Nap Nanny recliner and 22 reports of infants hanging or falling out over the side of the Nap Nanny, even though most of the infants had been placed in the harness.\\\\n\\\\nSubsequently, despite the improvements to the warnings and instructions, additional deaths using the Nap Nanny recliners were reported, including one in a Chill model. Since the 2010 recall, CPSC has received an additional 70 reports of children nearly falling out of the product. The Nap Nanny is a portable infant recliner designed for sleeping, resting and playing. The recliner includes a bucket seat shaped foam base and a fitted fabric cover with a three point harness. Five thousand Nap Nanny Generation One and 50,000 Generation Two models were sold between 2009 and early 2012 and have been discontinued. One hundred thousand Chill Models have been sold since January 2011. 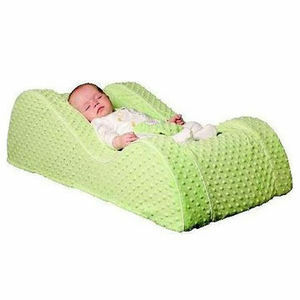 The Nap Nanny recliners were sold at toy and children's retail stores nationwide and online, including at www.napnanny.com. All models were priced around $130.